Browse the toolbox below for resources related to cereals and legumes! Cereals and legumes are major staple foods for most African countries. Africa is the main producer of native cereals like sorghum, pearl and finger millet, teff and African rice. 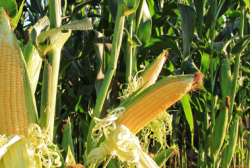 It also produces exotic crops like maize, which is currently the most important cereal in Sub-Saharan Africa and a major staple food for more than 300 million Africans. Legumes are nitrogen-rich seeds that provide protein in many African diets, especially for poor rural households. Legumes like cowpeas, groundnuts, soybeans, and black-eyed peas are often intercropped with non-legumes to improve nitrogen fixation in the soil, and to reduce mineral nitrogen fertilizer use in farming systems. Cereals and legumes are used as human food, animal feed and as raw material in industrial products. However, challenges in their production include low soil nutrient supply, diseases and pests, poor management practices, and climate change effects such as increased frequency and duration of droughts.